from the Animal Outing set. from Sunshine Sayings set stamped in Call Me Clover. I made the tag by cut the two top ends with my square punch. I did a quick eyeball job and was surprised they came out even. I added a Lemon Lime Twist twine bow to top. and the green print on- both from the Animal Expedition DSP pack. I placed a LLT piece of card stock on before adding my tag. in Call Me Clover card stock. Great layout over at thepaperplayers.blogspot.com this week! Wonderful choice of DSP! 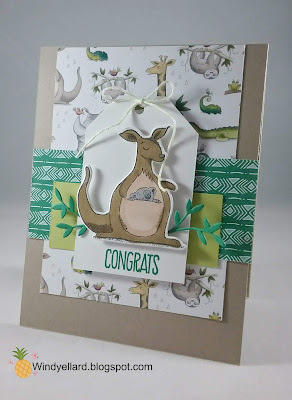 It really makes the sketch shine and your kangaroo tag is adorable! Darling card, Windy! 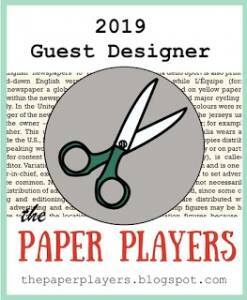 Thanks for sharing over at The Paper Players this week! Gosh, these papers make for such a fun card! 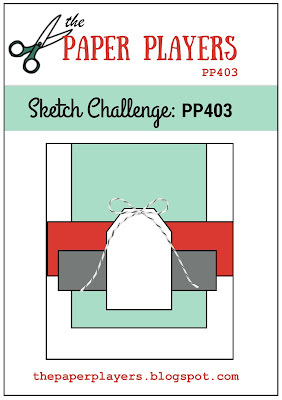 Adorable and perfect for Claire's tag challenge! Thanks for sharing this with us at the Players! Windy...this card is cute beyond words! Love your kangaroo! Thanks so much for joining us this week at The Paper Players! 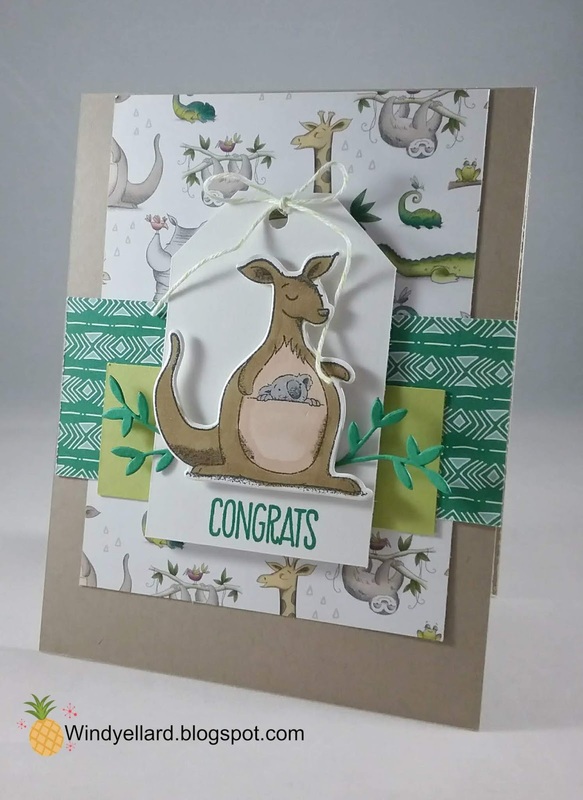 I adore your cute kangaroo and koala combo that adorn your tag Windy - perfectly paired with your papers and I love those little leaves peeking out too. What a sweet baby card! Thanks for joining us over at The Paper Players this week!